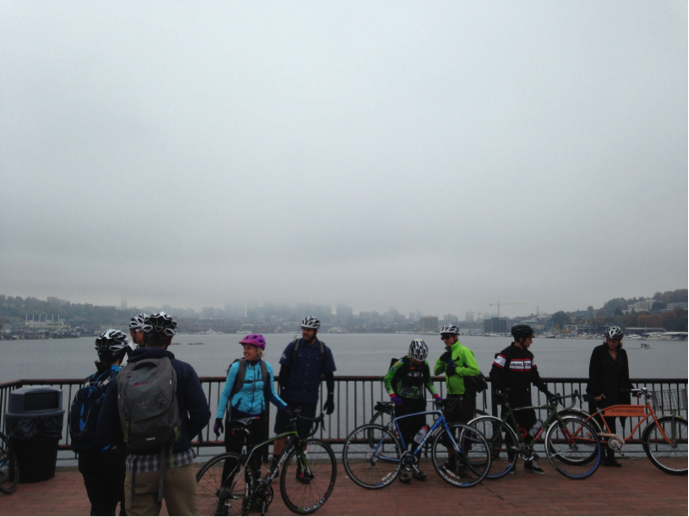 The BRAIN Dealer Tour assembles for a hazy skyline photo near Gas Works Park. Last week, Raleigh had the privilege of co-hosting the staff of Bicycle Retailer and Industry News (BRAIN) magazine along with a dozen other faces of the bicycle industry at BRAIN’s Dealer Tour. Three times a year, BRAIN visits a different city to see as many retailers as they can in a three-day span. They come to interview shop owners and employees about their successes and struggles, acquiring a qualitative analysis of a given market’s bicycle climate through evaluations of the retailer’s ridership, infrastructure and environment. This go 'round, the BRAIN Dealer Tour came to investigate in Raleigh's hometown, Seattle! We rode the 2014 Raleigh Revenio, Capri, Tamland and the RXC through miles of city streets and bike paths, from one shop to the next. Our friends at Cascade Bicycle Club led the group, giving everyone an honest perspective of a day in the life as a Seattle commuter. We cruised some of the best bicycling corridors in the country, while also riding some of the city’s most congested and prohibitive areas for riders. The group enthusiastically took detours for photo opps at Seattle’s infamous tourist spots, but we also shared a few insider secrets: Seattle’s best espresso stands, sneaky shortcuts, eateries and the occasional brew pub, like Brouwer's Cafe. Together the group uncovered the reasons that confirm Seattle's bike-friendly status, but we also discussed opportunities to improve accessibility and safety of bike facilities. State-of-the-art bike infrastructure is in place, but busy motorways and construction too often interrupt the ride. 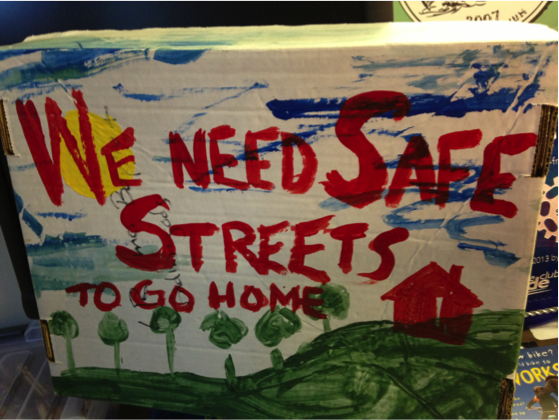 Cascade Bicycle Club and other organizations are working hard to advocate for these improvements in an effort to make bicycling in Seattle - and in other cities around the country - safer for both bicyclists and motorists. 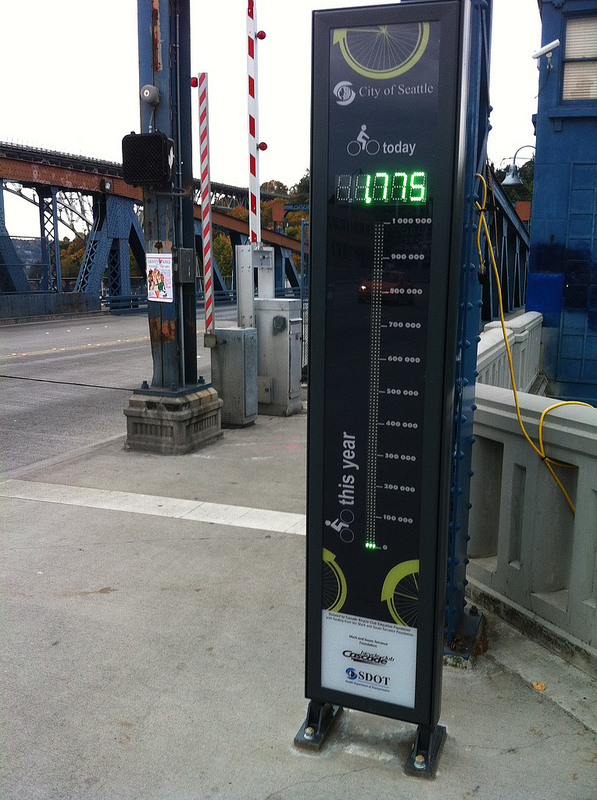 If more people ride, it improves the overall health, environment and economy of communities while reducing congestion. Truly passionate about bikes, the shop owners agree that the more people riding bikes, the better. They were a pragmatic bunch, acknowledging that they each have something unique to offer the various riders in Seattle, but no one shop is trying to meet the needs of every single rider out there. Shops pride themselves in being diverse, having a personality and building a community within their store. Business is good, too; countless commuters in Seattle kept popping in for parts, repairs, accessories, and bikes, of course. Ride Bicycles owner, Christian, shares his outdoor bike display with us. With a 450-square-foot retail space, he is resourceful and creative with merchandising. His shop caters mostly to commuters and “grocery-getters” who live in the surrounding neighborhoods. 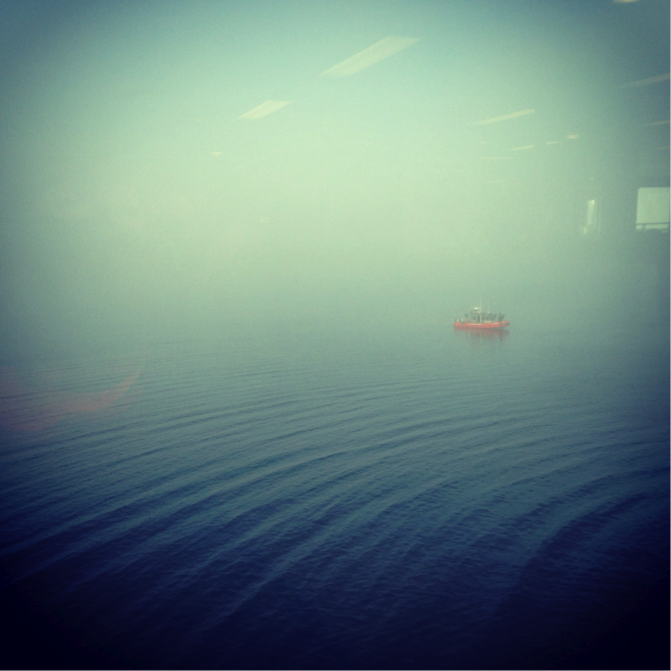 He estimates that 60% of his customers are women. We checked out Bainbridge Island's Classic Cycle museum and warmed up with the famous clam chowder at Doc’s Marina Grill. Raleigh is a supporter of Bike Works, a used bike shop that promotes bicycling in an effort to create more sustainable communities. 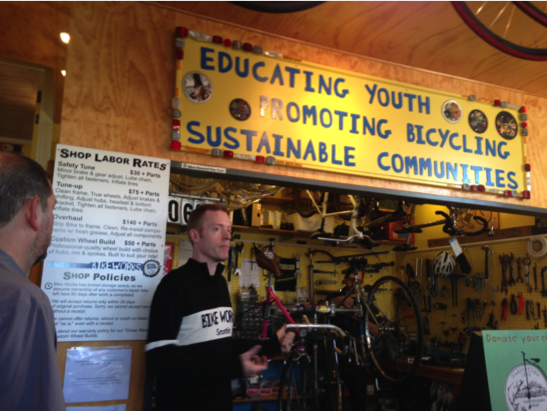 Our group had the opportunity to observe kids ages nine to 17 in the shop's “Earn-A-Bike” program. In eight weeks, the students learn the mechanical skills to build or repair a used bike for someone in the community and in doing so, they earn a used bike for themselves. Bike Works donates approximately 4,000 bikes a year. 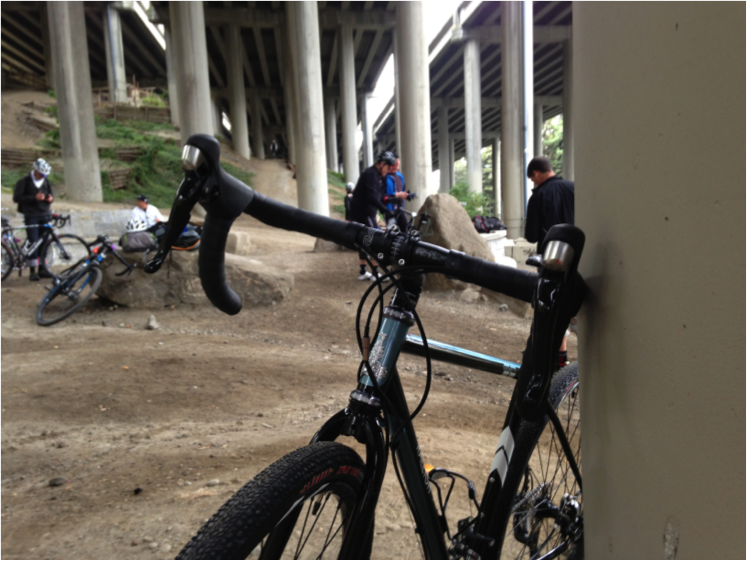 We stopped for lunch at the I-5 Colonnade Mountain Bike Park, developed by Evergreen Mountain Bike Alliance. Recreation areas like this help grow the sport of mountain biking among those who may not have otherwise ventured out of the city to mountain bike. The increased usage of space for sport has pushed out a lot of the illegal activity that used to take place here. 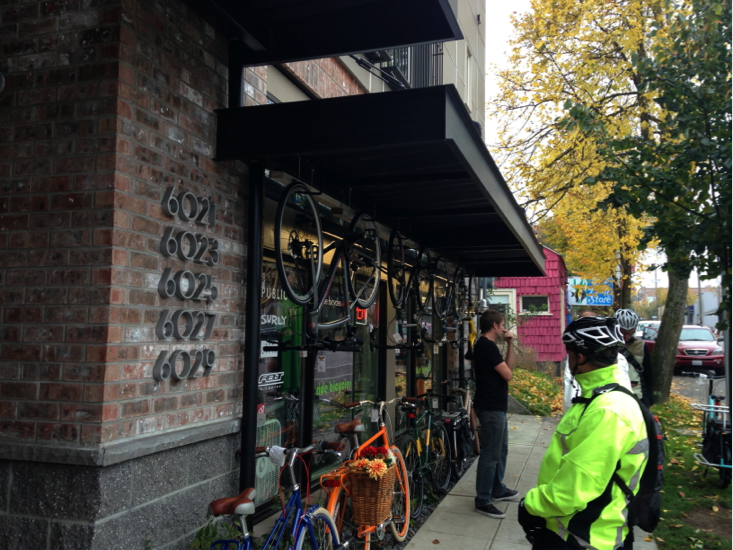 We ended our tour at Recycled Cycles, a used bike shop near the University of Washington that sells new and used bike parts, apparel and accessories. 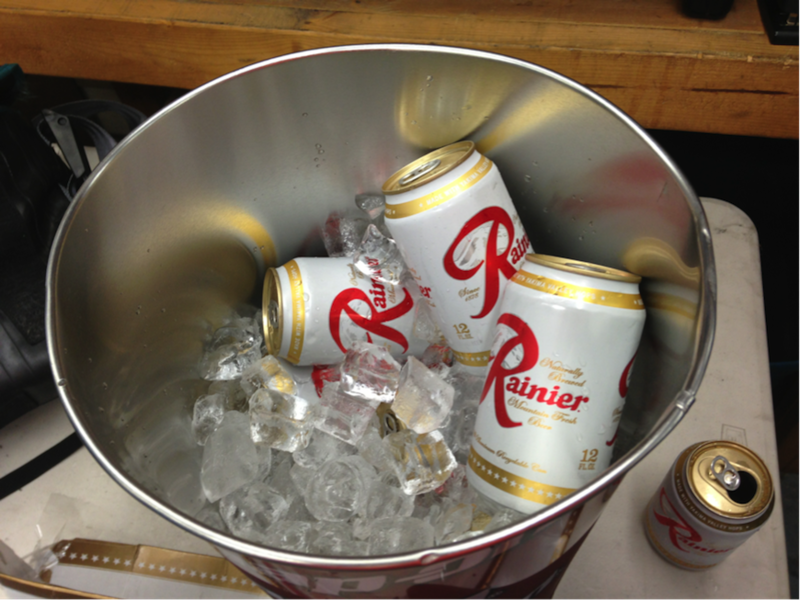 They greeted us with ice-cold Rainier beer, giving the visitors some local cheer.